There are many things that can go wrong for homeowners and one of them is a possible slab leak. 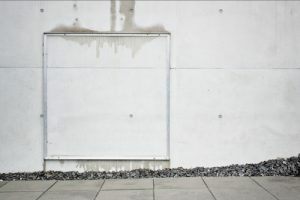 Regardless of the reason for it, the expenses can go through the roof if you don’t identify the slab leak as soon as possible. This is why slab leak detection in San Diego is very important. You need a reliable service provider who knows how to deal with leaks and what the causes are. Here’s what the whole slab leak detection process looks like. What tool is used for slab leak detection? Detection of slab leaks in San Diego requires specific tools and, most importantly, expertise which only the pros have. Professional plumbers will take care of the problem by using their skillset and the following tools. This includes using miniature cameras attached to fibre optic cables for a closer look at the problem. The camera is mounted on the end of a cable along with a LED light, so the plumber can see all the way down inside the pipes searching for the causes of leaks. This is a type of audio equipment which is placed against a hard surface in order to amplify any sound of dripping water, so the plumbers can have a better idea of where the leak is located. There are also special variants of audio equipment for listening through the thickest materials. They create thermal images by scanning for any temperature changes in and around the pipes. Because wet areas are colder than dry ones, this enables the finding of exact places affected by leaks. Some leaks can happen in pipes under the house foundation or beneath the garden and they can be hard to detect. Soil probes help plumbers in listening for leaks through grass, soil and rocky areas and into sewer lines. 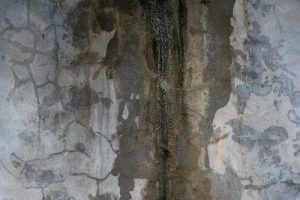 How long does a slab leak repair take in San Diego? When you’re dealing with a slab leak, it is an inconvenience, to say the least. The good news is that, although repairing it sounds like a serious task, it will most likely take less time than you expect it to. The overall time required for repairs depends on where the leak is located, how serious it is and how much damage has already been done. If you are lucky, there are cases when the whole inspection and repair process can take only a single day, but it usually takes at least two. The average leaks in San Diego take about two or three days to solve, given there are no additional complications along the way. After the plumbing itself has been completed, there can be a few more days needed for returning the area to its previous condition. If the repair task is big, ask your repairman to install a temporary bypass line while the main water supply is being shut off. If you are suspecting a slab leak in your home, call KIC Restoration immediately so we can inspect it thoroughly. We use only cutting edge detection equipment during the process and try to make it as convenient as possible for you. No matter how small or big the task, we are up to it and promise you impeccable results. We are nothing if not reliable and always keep your wellbeing and safety first. Our technicians are fully equipped and licensed to handle all types of slab leaks, so call us to take care of it so you can unwind at Belmont Park.